The Continental Club blog has run a few articles highlighting particularly notable American Express sign up offers over the past year or so, but we’ve never before published a round-up of all the current promotions. 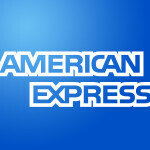 So, here it is, a quick overview of the company’s current new cardmember deals, covering American Express house-branded and co-branded cards. House-branded cards offer frequent travellers the flexibility of being able to earn Membership Rewards, which can then be converted into a wide range of hotel and airline loyalty scheme currencies. Co-branded cards earn points or miles directly into the co-brand’s scheme. The Platinum Card Charge Membership Rewards 30,000 New! All of the above offers are currently scheduled to last until the end of March at least, which is probably in part a reflection of the ‘middling’ levels of sign-up bonus – compared to some recent offers – for the personal cards listed. The Platinum Card bonus has just launched a 30,000 Membership Rewards for eligible applicants who spend £2,000 on their new card in the first 3 months of membership, which replaces a zero-bonus situation in recent weeks. It is however lower than the 52,000 MRs offered earlier in the year. To balance things, there has never been a higher bonus that that attached currently to The Platinum Business Card.